The Malawian government has launched a new generation of typhoid vaccines making it the first country in Africa using the vaccines, Reuters reports. 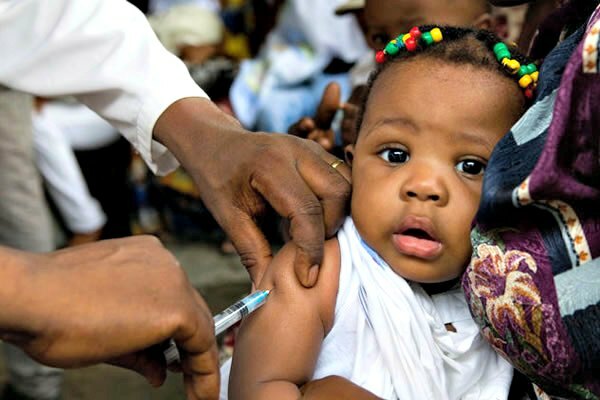 According to the Malawi-Liverpool Wellcome Trust, which is running the program, the clinical trials are meant to test the efficacy and cost-effectiveness of the typhoid conjugate vaccine (TCV). About 24,000 children aged from nine months to 12 years will take part in the study sponsored by the Bill and Melinda Gates Foundation. Typhoid fever affects about 20.6 million people globally each year, causing an estimated 223,000 deaths. The GAVI global vaccine alliance said last year it had earmarked $85 million to help support the introduction of typhoid vaccines in poor countries. In Malawi, the prevalence of the disease is attributed to poor sanitation, poverty and overpopulation. Since 2010, a new strain of typhoid has emerged that is resistant to the common antibiotics available in most health clinics. A team of researchers from the University of Liverpool and the Liverpool School of Tropical Medicine has been working with their local counterparts to develop the vaccine for about 20 years. The new vaccine against typhoid has been approved by the World Health Organization (WHO). Typhoid fever patients exhibit symptoms of fever, headache, shivering and stomachache. Caused by salmonella bacteria, typhoid fever affects over 100 in every 100,000 people a year in Blantyre City alone in Malawi, experts say. Posted by Steven Addamah on February 27, 2018. Filed under Lifestyle. You can follow any responses to this entry through the RSS 2.0. Both comments and pings are currently closed.